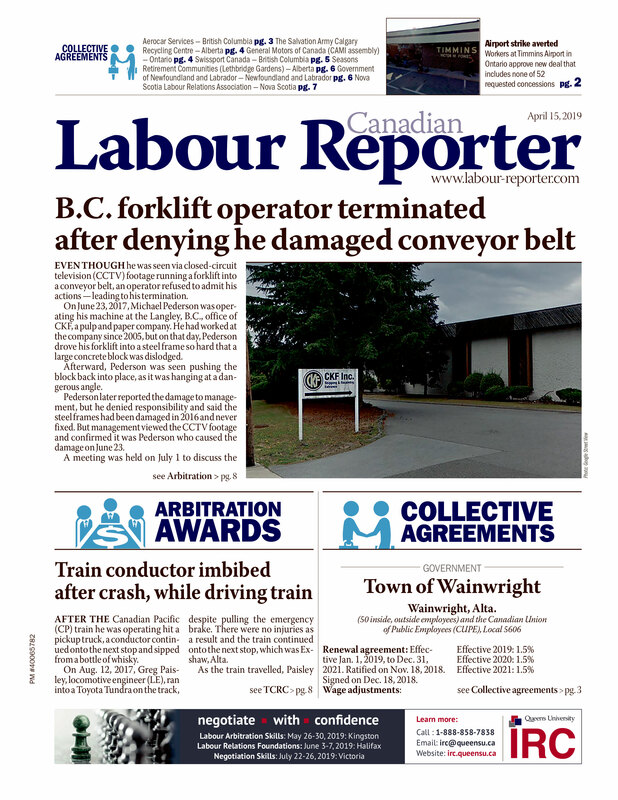 Proffering a variety of explanations for his actions, a warehouse worker grieved the discipline imposed on him for alleged safety infractions. Employed as a warehouse worker in a facility that packs and ships orders for large grocery retailers, F.T.’s job was to assemble orders for individual retail stores. Using a forklift or other machinery, F.T. would pick requested merchandise from various stacks and then place it on a pallet in a staging area. Completed pallets were wrapped for stability and then moved to a loading dock for shipping. In the first of a series of incidents that led to discipline, F.T. was observed to leave the scene on his forklift after his attempt to “pick” some onions compromised the entire pallet, which was about 25 feet above the ground. Some boxes hit the floor and some remained loose about 25 feet above ground level.